NAGA is pleased to announce that on Sunday February 5th, the North American Guqin Association will hold a yalon in Union City, CA. A yalon雅龙© (yaji+salon) is a mixed gathering of East and West, ancient and modern. It was conceived and created by NAGA’s director Wang Fei in October, 2010. Based on the traditional Chinese scholar’s yaji (雅集 elegant gathering) and the French artistic gatherings known as salons (沙龙), a yalon (雅龙)© is a novel and artistic high society gathering, centering on guqin, attended by contemporary literati in homage to the ancient Chinese yaji of the Seven Sages of the Bamboo Grove and hosted by intellectual women in their living rooms, as was done by George Sand in her French salons and Lin Huiyin (林徽因) in her literary salons. The theme of this upcoming yalon is the situation of the guqin and other traditional art forms in a modern and globalized environment. 1. Free to students who enroll for the 2012 NAGA guqin class. If you have already paid for this class, please RSVP here. If you have not, please register now and send a copy of your payment receipt when you RSVP. 2. Free to NAGA board members, 2010-2012 donors and volunteers, please RSVP here. 3. For others guests, $20 per person, please pay online in advance only at http://www.eventbrite.com/event/2882695219. Payment at the door cannot be accepted. Space is very limited, and it is essential that all participants you RSVP. Union City, CA. Address will be announced after your place is confirmed. Accessible by public transportation. NAGA’s ground-breaking yalons (雅龙)© were successfully premiered in October 2010 in a Beijing courtyard house where renowned Chinese opera master Mei Lanfang (梅兰芳) used to reside. NAGA has held many yalons in both China and the US. Attendees have included musicians, scholars, writers, filmmakers, poets, doctors, public officials, publishers, investors, diplomats and young urban professionals from both the US and China. Among them were guqin master Li Xiangting and guzheng master Yin Qiyin. Attendees enjoyed and appreciated music from famous guqin pieces to improvisations, poetry recitals and improvisational writing with guqin improvisation, while tasting fine wines and aged Puer black tea, wore hanfu, played impromptu childhood games and discussed various artistic topics as well as modern marvels such as the iPad and iPhone. The purpose of yalons is to provide an inspirational platform for artists to collaborate across cultures and across art forms; to encourage artists to create new works; to introduce a new lifestyle in which a person can be not just materially wealthy but also spiritually rich. We hope today’s NAGA yalons starting in China will be a spark that can light a prairie fire to revive Chinese high culture, now that its economy has become so successful. Zhao Jiazhen is a professor at the Central Conservatory Music of China and is one of the most active guqin performers on the world stage. She studied guqin under grand masters Wu Jinglue, and Zhang Ziqian as well as masters Gong Yi and Wu Wenguan. Zhao has toured the US, Germany, France, Italy, Austria, Japan and has appeared as soloist with many orchestras, including the Chinese Symphony Orchestra, the Brussels Symphony Orchestra of Belgium, and the National Orchestra of Taipei CityIn 2001 and 2002 she played in the “World Renowned Musicians and Instruments” concert at the Forbidden City in Beijing. Professor Zhao has performed for president Obama and appeared in concert at Carnegie Hall in New York in 2009. Professor Zhao’s music has featured in many movies such as “Red Cliff” (please click the link) and “Dream of the Red Chamber”. She has produced numerous guqin CDs and DVDs. Her guqin album”Qin-Zhao Jiazhen” has received the Independent Music Awards in 2011. The New York Times has been quoted as commenting, “Zhao is a word class performer!”. During the many years of Zhao’s teaching career she has trained numerous students who have won prizes in various competitions. Yuan Sha is a world-renowned guzheng player and one of the most talented and active artists performing on the instrument today. She has won several national and international guzheng competitions, and she has trained thousands of students on the instrument – giving concerts and academic courses in China and abroad – and publishing teaching materials and CDs. Annie Wang grew up in Beijing. 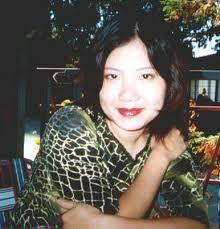 A child prodigy in her native China, she graduated from the University ofCalifornia at Berkeley. She has written two books in Englishand eight books in Chinese. She is also a veteran journalist and fashion magazine editor. Her popular column “The People's Republic of Desire” in the South China Morning Post won her wide popularity both in China and abroad. She lives in both Beijing and Shanghai with her husband and two children.